There are some champions that you just always see the enemy do better with. Your Shaco? 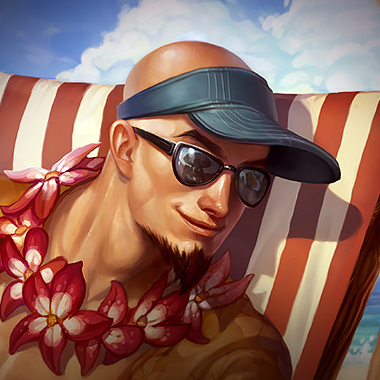 Dies at his first buff because he started Q. Enemy Shaco? Mastery 7 jungler who takes all 4 buffs throughout the game and constantly jukes the enemy team. 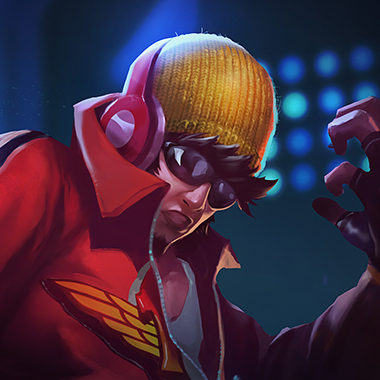 Lee Sin is one of those champions. He’s got a very high skill cap ceiling, as can be demonstrated by the numerous montages on Youtube. There’s nothing worse than the feeling of being secure behind your front line only to have the enemy Lee pull some ridiculous combo to fly across half the map and knock you straight into the hands of the enemy team. 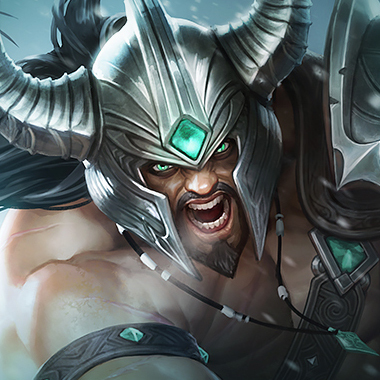 Lee is a jungler with high early game pressure who transitions into a utility tank late game. Although he can be played as an assassin, this generally works far better at lower elos, where the players don’t know how to take advantage of his weaknesses. However, in this guide, I’ll be teaching you how to beat him and make sure that this monk goes deaf and dumb. 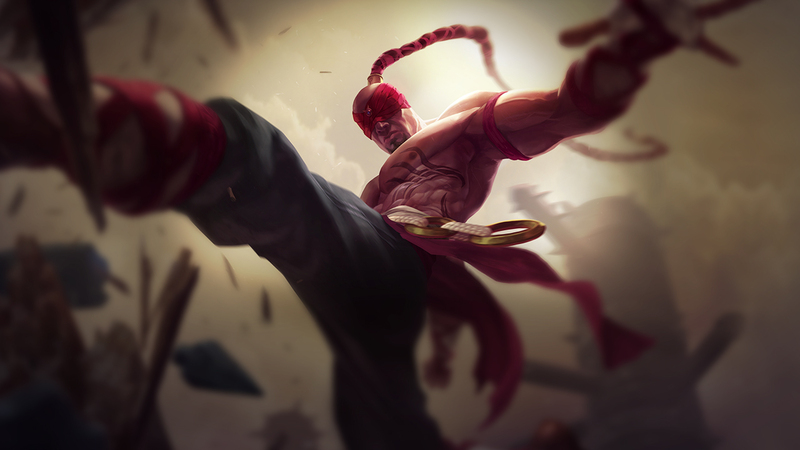 After using an ability, Lee Sin’s next two basic attacks gain attack speed and regain energy. Lee throws out a sonic bolt, dealing a small amount of damage and tagging an enemy. If he recasts this ability, he dashes to the tagged target, dealing physical damage that increases based on the target’s missing health. Lee dashes to a friendly ally or ward. 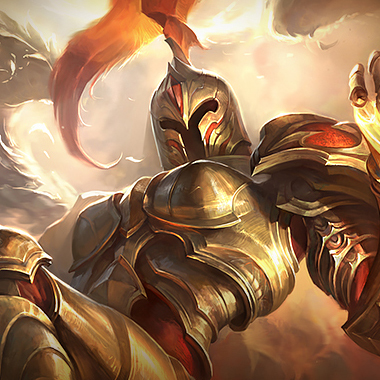 If the ally is a champion, both they and Lee gain a shield. 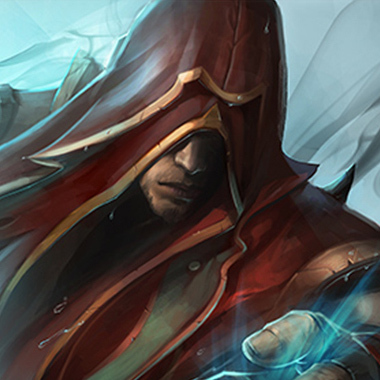 If he recasts this ability, he gains bonus life steal and spell vamp for a few seconds. 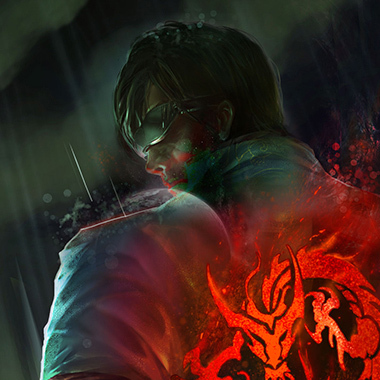 Lee smashes all enemies near him, dealing damage and gaining true sight. If he recasts this ability, all enemies hit by Tempest are slowed for 4 seconds. Lee kicks an enemy champion, dealing physical damage and knocking them back. All enemies they hit also take the damage and are knocked up. The damage to secondary targets increases based on the bonus health of the original target. Don’t duel Lee Sin if you’re squishy. He has a lot of burst damage. Lee’s Q is an execute. If he lands the first portion, the second half of the ability does extra damage if you’re low on health. Lee can kick your tanks into you, dealing extra damage. Don’t stand directly in the path of your tanks, or you’ll be in the front line, knocked up and low on health. 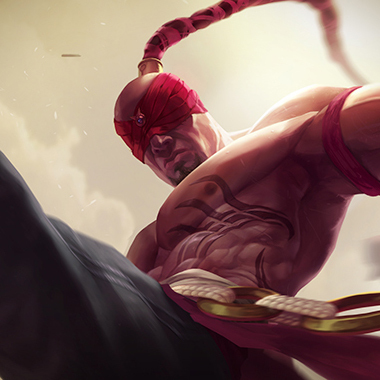 Lee Sin can ward hop. This requires him to have wards however. If you’re a champion with stealth (Teemo, Twitch, etc), he can remove your stealth with his Q and E.
Lee needs to auto attack midcombo in order to get energy back. If he’s low on energy, kite him and hewon’t be able to cast any abilities. Lee can cheese you at your first buff if he starts on Blue Side. He’ll smite red and come for the first blood. Just ward up or start at your blue buff. Your ult can save someone from being assassinated from Lee. In addition, you do more damage inteamfights. You can slow Lee with your Q and bait him with your W. Kiting is the worst thing to do to Lee. Becareful about early invades, as your first clear will be very weak. Once you hit 6 however, you should be able to beat him easily. Consider buying Rylai’s early in order to permaslow him. CC stops Lee. You have tons of CC and good early dueling power. 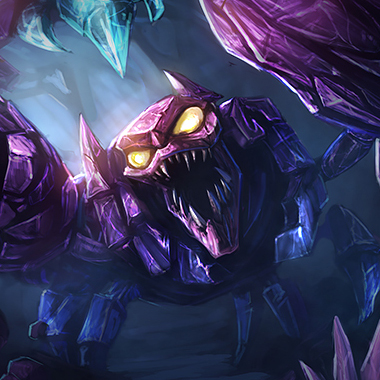 If he tries to kick one of your carries, you can just suppress him. Be careful about dueling him early if you aren’t in one of your zones. You outduel him once you get your ultimate. Be careful that he can kite you out to just wait for yourultimate to run out. Your W reduces the damage on all his abilities. A mixture of health and armor work well against Lee, as generally Lee players will buy AD and armor pen, thentransition into tank stats. 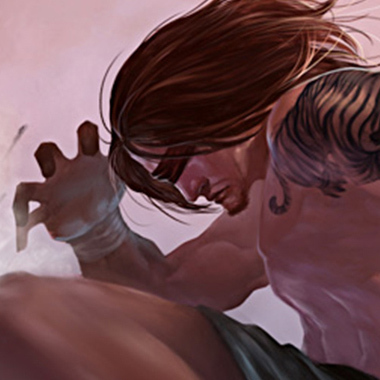 Randuin’s works especially well as Lee is susceptible to CC.